Stone Design was given totally artistic freedom on this dallas road reno. 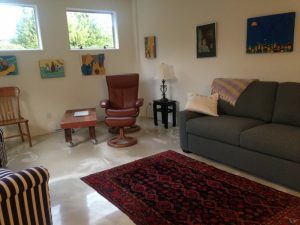 The client wanted a modern and bright space that would showcase their art collection. 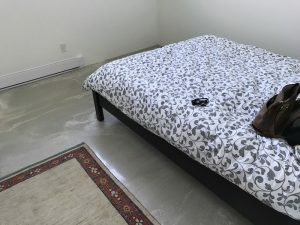 Stone design proposed an idea that utilized two different base colours of self leveling concrete and a theoretical process of placing the concrete. 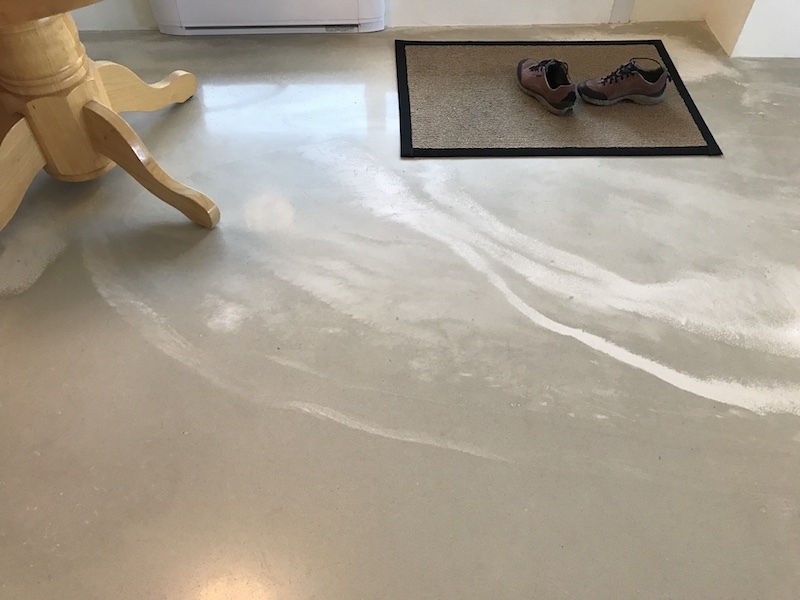 The cream and white self leveling materials were batched separately, and placed on the floor strategically to create a marble aesthetic. 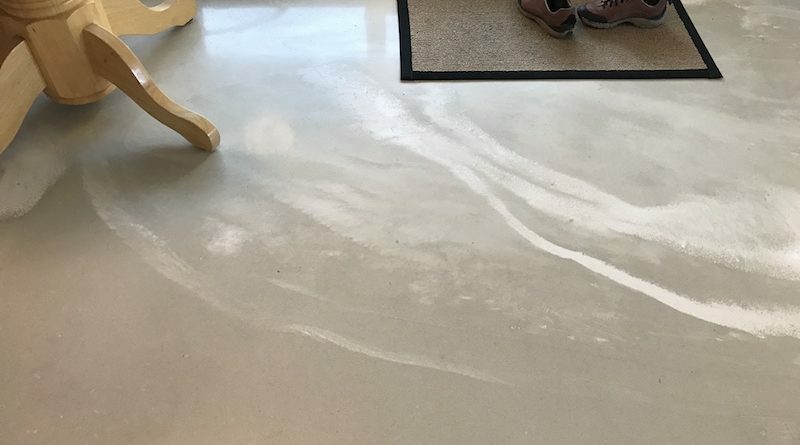 Once the self leveling overlay was cured, the floor was polished to 800 grit and sealed. The results are a seamless creamy white polished concrete floor that looks like one solid piece of marble from a quarry on Vancouver Island.